Harvia Vega is an elegant heater that is easy to- use. The stainless steel outer casing of the heater gives your sauna a modern look. The operating switches are placed ergonomically in the upper part, on the side of the heater, which provides easy operating. Harvia Topclass Combi is a combined electric heater and steamer that provide different sauna pleasures. You can select between a traditional Finnish sauna, a steam sauna, a herbal sauna or a fragrant sauna. 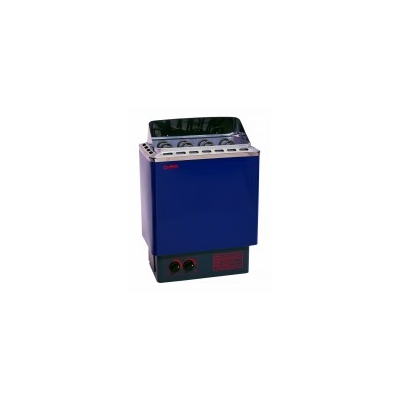 This heater is the correct choice for bathers who appreciate a soft and humid bath and an aromatic atmosphere.